One of the biggest differences you will find with Frontlint Recruitment Pvt. Ltd. is our breadth of services, we offer. We are providing every type of overseas manpower solutions under one roof and provide solutions for just you can think of. Owing to Frontline Recruitment's specialized, strict, diligent, honest and responsible working attitude, as well as highly effective team spirit, past experience, reputation, and professional network, we are confident and committed to provide supreme quality manpower supply services and satisfactory cooperation to our clients. We provide you the candidates of high caliber, fitted, capable of doing work efficiently, smart, amiable and reliable. This is achieved through specialized marketing campaigns, Job Fairs, our branch offices in various cities of Nepal; tie up with universities career centers, training institutes, professional associations, and media advertising our CV bank itself. We use many tools, techniques and strategies to access top quality candidates. We at Frontline Recruitment Pvt. Ltd. passionately believe that every business is different, with separate staffing needs and special requests. Therefore we treat every point client as individual basis with single focal point to produce top quality recruitment services at all levels. Our credibility and reputation for providing top quality service is gained by treating our clients as individual basis. We thoroughly study each client’s project and depending on project requirements, we engage a dedicated team of recruitment consultants to analyze and understand our client’s specific needs and objectives to find the best solutions that meet them. With over 7 years of successive experience as overseas manpower supplier of Nepal, we have expertise in overseas recruitment solutions for various industries and countries like United Arab Emirates(U.A.E. ), Qatar, Saudi Arabia, Oman, Jordan, Bahrain, Libya, Malaysia, Maldives, Poland, Romania etc. And our sphere of expertise keeps growing every instant. Knowing our market niche so intimately, we provide excellent advise to our clients about candidate availability, sourcing methods, salary and benefit expectations, hiring time frames, and key ”push & pull” and many others factors of local workforce market for the whole recruitment project. The vast range of overseas recruitment expertise that Frontline Recruitment Pvt. Ltd. covers is one the primary reasons why so many employers in the Middle Eastern Countries, Malaysia, Maldives and many others have trusted us for all past years. We understand the effective communication is crucial for the success of recruitment project .We understand the importance of accessibility. That’s why we provide instant support to your calls, emails, faxes and other inquiry instantly or within 24 hour turn around. Our team members are efficient communicators. We have established a effective and prompt “team-client” communication environment providing all the required resources. All our employees who are engaged with communication speak good English. In fast-pacing present business scenario where companies are mushrooming in every part of world, the demand of quality manpower is like never before. 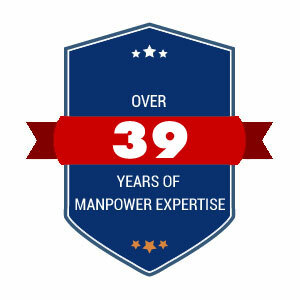 So, to make sure that our clients get the best overseas manpower solutions possible, we at Frontline Recruitment Pvt. Ltd. enforce a rigorous quality assurance throughout the recruitment cycle, from analysis to search and supply. Our team has experience and awareness of international recruitment trends around Middle East and various other countries against benchmarks like ISO standards. With such expertise and years of experience with various industry sectors, Frontline Recruitment Pvt. Ltd. commit to deliver our clients top quality manpower services giving you hassle free solutions for all your requirements and creating value for your business growth. We partner with Nepal’s top training centers and educational institutes to assess the skills, competency and motivation of our Jobseekers within various skill sectors. This helps our clients to get quality candidates. Frontline Recruitment Pvt. Ltd. has already experienced exceptional growth in executive recruitment, building a strong brand and business platform with a strong combination of clear focus, ambition and hard work. Each of our executive search recruitment consultants has the experience and knowledge to be an expert in overseas executive search and selection and in each of the sectors they specialize in. Our consultants work with an extensive network of domestic and international contacts and invest significant time and energy in understanding and then meeting the recruitment requirements of clients and candidates. This ensures high standards of service are maintained throughout the executive recruitment process whilst guaranteeing targets are met. We at Frontline Recruitment Pvt. Ltd. understand the value of time which our clients assign for a recruitment project. We not only meet the deadline provided by our clients but also provide quality solutions before the deadline. We adhere to get back to you to round the clock if any problem arises. At the heart of Frontline Recruitment Pvt. Ltd. are 15+ professionals with many years of experience in overseas recruitment and HR Practice. We hire the very best employees who have skills and expertise to provide recruitment service parallel to international benchmarks like ISO Standards.Honesty and integrity are key elements our team members. Our recruitment experts have had ample experience in working on overseas manpower supply projects of all scales and complexities within different industry domains, which is another reason why our clients can rely on us for all their recruitment needs.Each member of our staff is chosen based on their industry experience. At , Frontline Recruitment Pvt. Ltd. we pride ourselves in providing overseas recruitment services not only fast but also reliable and sustainable. Our commitment to provide efficient and top quality overseas recruitment services is ranked among top manpower companies/agencies in Nepal. This level of reliability comes from planning, hard work and forward thinking not luck. Above reasons don’t matter if our charges are not competitive.What’s so great about offering for years is we have kept giving more for less and what has kept ourclients remain with us throught our history.